Nasser envisioned a utopian, secular pan-Arab super-state compromised of both Christians and Muslims who were united not by religion but through common language and culture. However, Nasser’s radical policies to unify the Arab world put him in constant conflict with the West, Israel and other Arab leaders. This hindered his ability to fully modernise Egypt. Seeking freedom from foreign economic control, he nationalised the Suez Canal and expelled the British and French, the Canal’s principal shareholders. These actions triggered the devastating 1956 Suez War, and brought Cairo into a closer alliance with Moscow. Seeking Arab unity, Nasser briefly merged Egypt with Syria into the United Arab Republic (1958-1961), but this failed miserably because the Syrians viewed the UAR not as a union of equals but as an Egyptian occupation. During the 1960s, Nasser’s ambition to expand his influence in Yemen tainted his image as an Arab hero, especially after he deployed chemical weapons against fellow Arabs. During the Cold War, Nasser feuded with Saudi, Jordanian and Tunisian leaders within a secular context. He accused them of being illegitimate because they were mere puppets of the West and indifferent towards fighting Israel and not being advocates for the Palestinian cause. Nasser had no problem accepting vast sums of Soviet aid despite the fact many Muslims did not support atheism or Communism. Although a pious Muslim, Nasser did not seek an Islamic state. In Egypt, he once said, “we are Muslims, but we are not Islamic. My country is Muslim, Christian and Jewish, and I expect it always to be so.” He also viewed the Muslim Brotherhood as religious fanatics and a terrorist organisation, and suppressed the movement by driving its members underground and hanging its chief ideologue, Sayyid Qutb, in 1966. Secular pan-Arabism did not unite the Arabs, free them from foreign influence, nor did it destroy the Jewish state. 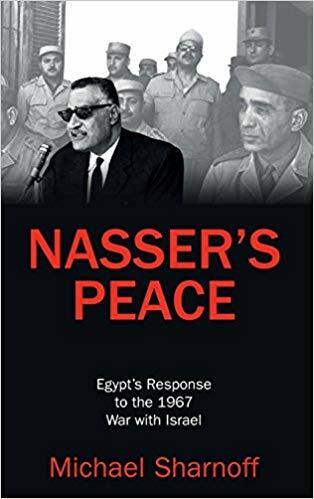 On the contrary, Nasser’s antipathy toward the West, support of the Palestinians and propaganda war calling for the elimination of Israel resulted in a humiliating military defeat and the loss of Egyptian land. In June 1967, Israel quadrupled its territory by conquering the Sinai Peninsula and Gaza Strip from Egypt, the West Bank and Old City of Jerusalem from Jordan, and the Golan Heights from Syria. In just six days, years of empty slogans, promises and threats revealed the bankruptcy of pan-Arabism. After the war, Egypt and the Arabs, whom had never missed an opportunity to call for the destruction of Israel, were now principally concerned with the restoration of Arab territory, not the liberation of Palestine. Nasser, who had helped found the PLO in 1964 in order to manipulate Palestinian affairs, delegated this task to the Palestinians themselves and encouraged Fedayeen terrorist attacks against Israelis. Pan-Arabism’s decline created a vacuum that was filled by Islamists — Muslims who advocate an Islamic state governed by Islamic law. For decades, Islamists like the Muslim Brotherhood were suppressed by Nasser and other Arab leaders, and after 1967 they began organising and articulating more assertively that Islam is the solution to all their problems. In addition to providing social services, Islamists found support by arguing that Islam is the remedy to Arab and Muslim weakness because apostate regimes aligned with the West or Russia prevented Muslims from achieving their full potential. By not implementing Islamic law, Islamists argue that secular nationalist leaders ignore Islamic issues, are subservient to foreign powers and have failed to liberate Palestine. Nasser’s Egypt was a dictatorship and not a democracy. Despite his charisma and popularity, he could not completely eradicate Islamist movements like the Muslim Brotherhood. For decades, Nasser and other dictators, such as Saddam Hussein, Hafez al-Assad, Muammar Gaddafi, Hosni Mubarak and the Saudi Royal Family, used brutal force to liquidate these movements. Yet they failed to extinguish the ideology that inspired them and they proliferated clandestinely, especially within jail cells in the Middle East. Islamists are not monolithic, and tactics differ toward achieving these goals. In recent years, some Islamists have participated in politics and gained power through elections such as Hamas in Gaza, Ennahda in Tunisia, and the Muslim Brotherhood in Egypt. Others have taken up arms against the state, such as in Libya, Sinai, Syria, Iraq and Yemen. While hatred of Israel persists, the immediate victims of militant Islamist violence are non-conforming Muslims and ethnic-religious minorities such as the Assyrians, Christians, Copts, Kurds and Yazidis. Moreover, Islamist movements such as Al-Qaeda and Daesh do not recognise the notion of the international Westphalian state system. They strive to erase recognised borders in the areas in which they operate to resurrect an Islamic empire called the Caliphate. A major unintended consequences of the 2003 Iraq War and 2011 Arab uprisings was the rise of Daesh. Like Al-Qaeda, they espouse a doctrine known as tafkir, that denigrates non-conforming Muslims and Muslim leaders who do not share their worldview as kuffar, infidels and non-believers that should be punished with death. This violent and intolerant ideology is responsible for the genocide of the Yazidis and the exodus of Christians from the Middle East. Long gone are the days when Nasser’s secular politics dominated the Middle East. The resurgence of Islamism and its binary worldview of believers and nonbelievers, its abysmal human rights record, and its quest to destroy the sovereignty of nations to rebuild the Caliphate present dire challenges for the region and beyond. Unfortunately, many in the West are still coming to terms with this new reality. Worse still is the fact that the West has yet to present a clear strategy that targets militants and the ideology that inspires their violence.